I was walking through a Kohl's department store today picking up a couple of items before I leave on my trip to California tomorrow. I walked past a kiosk and noticed a bunch of shoppers and an employee standing around it. 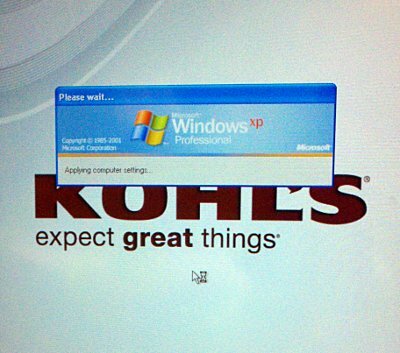 It appears that kiosk is based upon Windows XP and it had crashed and was in the process of rebooting. I get a chuckle out of seeing kiosks and ATMs that are still running Windows XP that have crashed in a public location and leave messages on the screen for everyone to see as they try to recover.